Daybed vs. Futon: What's the Difference? Although both are space-saving multitaskers that can be used both day and night, there are a few key differences between a futon and a daybed that can help you decide which is best for your needs. A daybed looks similar to a couch. It is bordered on three sides with walls or railings, so thick cushions or extra accent pillows are typically needed along the frame by day for comfortable seating. These pieces are much deeper than standard sofas because they are sized to fit a twin mattress. 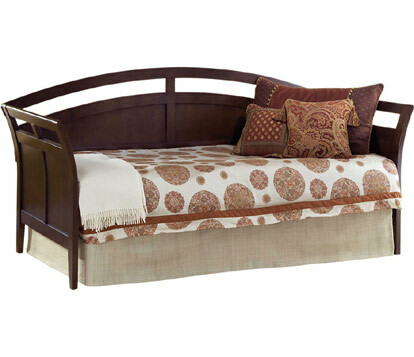 Many daybeds are designed to meet the needs of growing children. Numerous styles are available, including models with built-in bookcases, trundles, or storage space. Futons have adjustable frames that can be positioned in an L-shape like a couch or flat like a bed. They often come with a full-size, foldable mattress filled with foam or other materials. 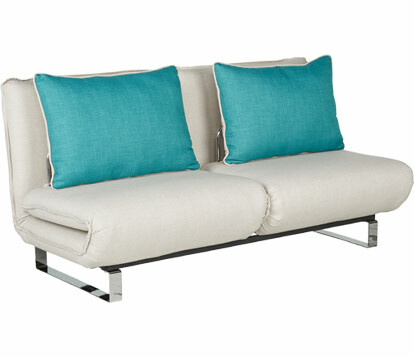 Perfect for small apartments and college dorms, futons are useful for guests or extra seating. These pieces are thin, streamlined, and easy to move. Although personal preference plays a big factor, daybeds are generally more comfortable to sleep on, while futons are better for sitting. The deep seat and elevation from of the floor can make a daybed uncomfortable for petite people to sit on, while futon mattresses are harder and less structured than a standard mattress for sleeping. Depending on the size of your home and your family's needs, either a futon or a daybed could work for you. Keeping the differences between these pieces in mind will help you make the best choice.